I always love following the Throwback Thursday hashtag on Twitter or Facebook, and today, I thought I’d play along with my own bookish version! 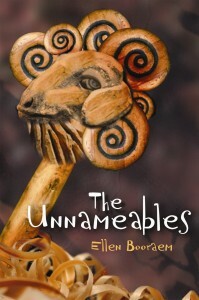 To the left, below, the original hardcover edition of The Unnameables by Ellen Booraem. To the right, the current paperback edition! I prefer the current paperback edition. Even though the title looks crowded with all the graphics (I’d prefer it with just the text and the background), the new cover tells more of a story. 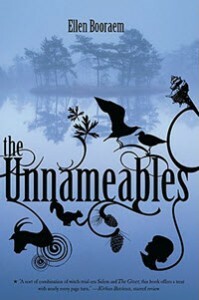 The first cover is nice, but I have no idea what to expect from it. I might open the page to both of them but the second cover is the one I’d open first.